Download "SRL Networks Presents Durt Boi" on The Skunk Radio Live Record Store". DURT BOI MIX (Brandon Townsend) is definitely becoming a rising star on today's Hip Hop scene with his grimy delivery and catchy hooks! Hailing from the tough streets of the Riverside community in South Memphis, Durt Boi had to overcome many struggles and hardships, such as his father being incarcerated when he was only 9 years old. After suffering from the devastating blow of his father receiving a life sentence, Durt had to adapt to the instability of bouncing from home to home between his mother, grandma and aunt. Longing for that missing void in his life from the absence of his father, Durt enlisted in the military after graduating high school. Ironically, the military is where he discovered his passion for writing music. 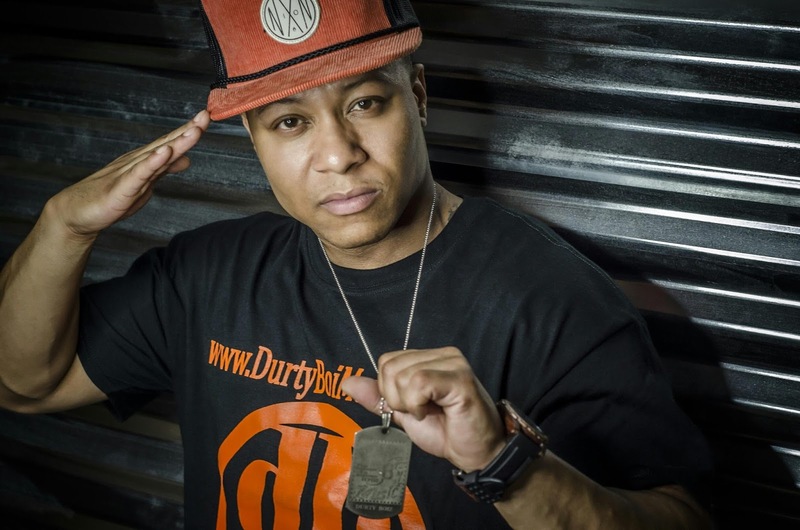 While in the military, Durt learned to use his love for writing music as an escape from his troubled childhood and the life of a soldier. After serving a tour in Iraq, Durt was stationed at Ft. Lewis in Seattle (Tacoma), WA, USA. Realizing he had a true talent in music, Durt and two friends started the group, "The Durty Boiz". From 2005 till 2009 the group released two albums, "The Connection" and "Durty Dolla: 1st Deposit", creating a substantial buzz in the Northwest. Carrying the Durty Boi Music label on his shoulders and with home calling him, Durt's journey landed him back in "the M". After returning to his southern roots, Durt linked up with C&N Management and Marketing, taking his career to the next level. Wasting no time, Durt Boi has definitely made an impressionable mark on the Memphis music scene, opening up for major acts such as Too Short, Devin The Dude, Playa Fly, 8Ball&MJG and Young Buck. In addition, Durt Boi made the front cover of Memphis' Street Scenes Magazine as well as receiving "Out Of Town New Artist Of The Year" at the Jackson Music Awards. Listen out for Why Chase Ya', "Pop, Drop And Roll" and other awesome tracks by Durt Boi on SkunkRadio Live Hip Hop Playlist Shows.